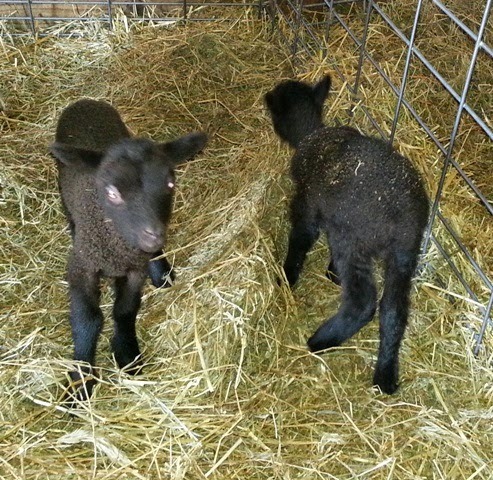 Winding down for 2014.........And here are the last 3 ewes that lambed for this year. 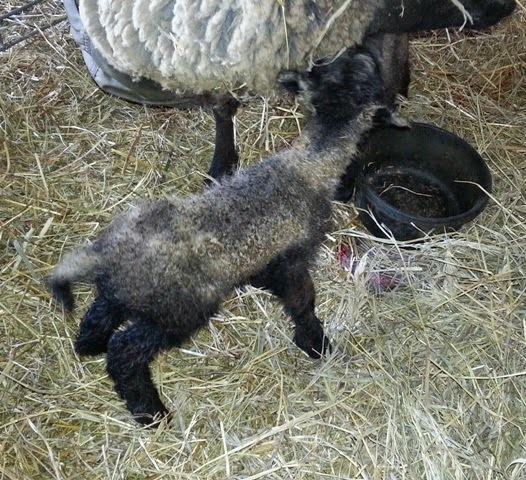 Salicional's little ewe has a bit of a wonky birth coat, but I've learned to be patient with that line because the fleece can and probably will change to a tighter, crimpier style in a couple months. 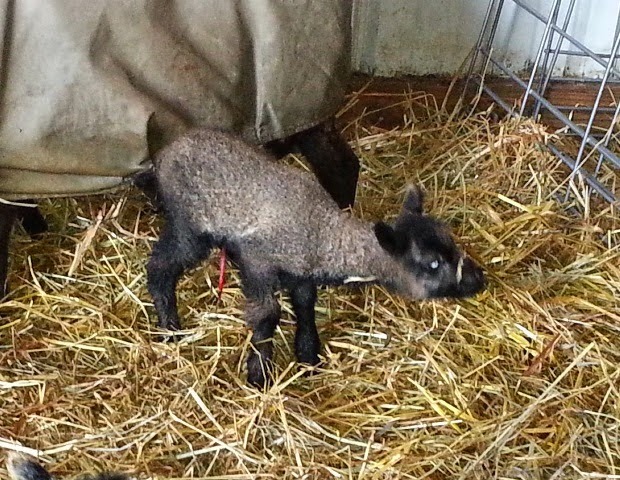 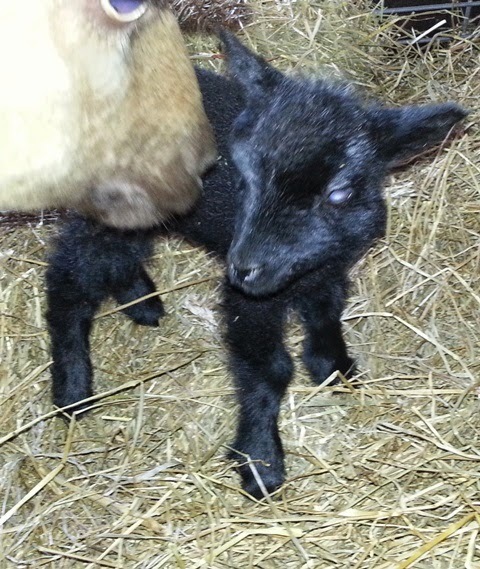 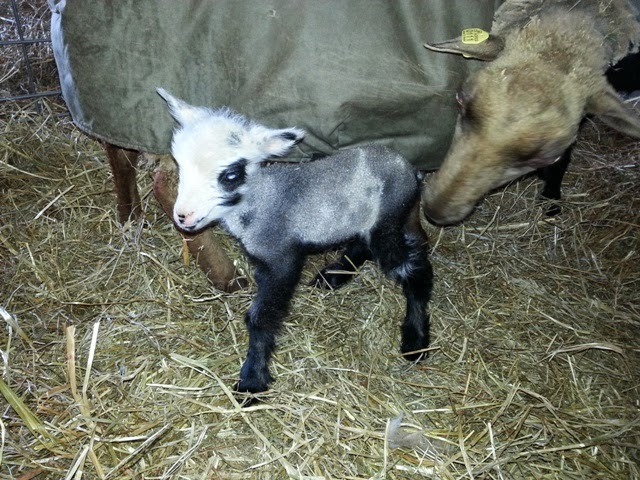 I originally thought that the ram lamb was fawn, but after he got out in the daylight I see he is actually grey.